If you were ever arrested and/or charged with a misdemeanor or felony, that charge may still be on your public criminal record, regardless of whether you were ever convicted of the crime. The charge may be noted in existing court documents and police records, or in a state justice system criminal records repository. There are procedures for sealing or expunging those records, although the laws and procedures vary by state. The process can be as simple as paying a fee, or as involved as appearing in court with an attorney. Visit the law enforcement office(s) and court(s) that handled your case and ask to see any records containing your case. If you were charged with a felony, look for records of an initial arraignment in the local/county court and documents on the subsequent proceedings (indictment, motions, trial, plea or dismissal of charges) in the county/circuit/district court. Submit a request for your criminal record to your state's department of law enforcement or criminal justice. There will likely be a fee. In some states, including Florida, you can access criminal records online once you pay a fee. The records you receive will be copies of whatever is maintained at the state repository, which law enforcement officers can access, and may contain records that were sealed or expunged in the local court. Submit a request to the court clerk to have your criminal record sealed or expunged, whichever option is applicable in your situation. Complete paperwork the clerk provides to you and pay any applicable fees, if that is the procedure the clerk instructs you to follow. However, your situation may require a meeting with the judge in his chambers and/or an appearance in open court. Meet with the judge, if the clerk instructs you to do so. 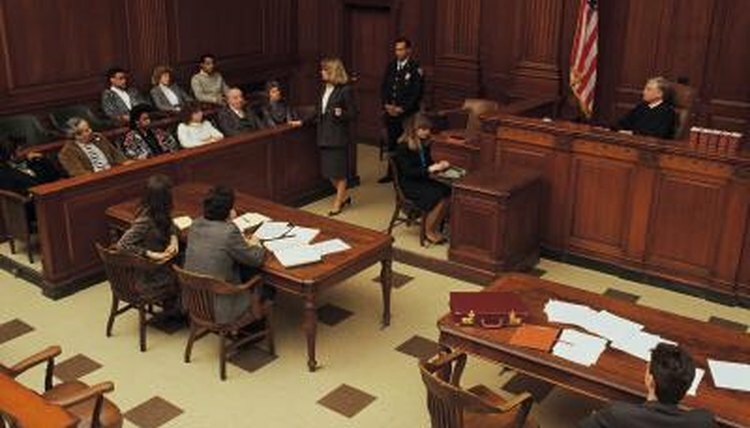 Provide a legal precedence to the judge during your meeting, to show why she should seal your record or expunge the charges. It is not enough just to state the charges have hampered your ability to find a job, obtain a long-term residence or secure a bank loan. Gifford, Aaron. "How to Get Charges Off Public Record." , https://legalbeagle.com/5939376-charges-off-public-record.html. Accessed 24 April 2019.